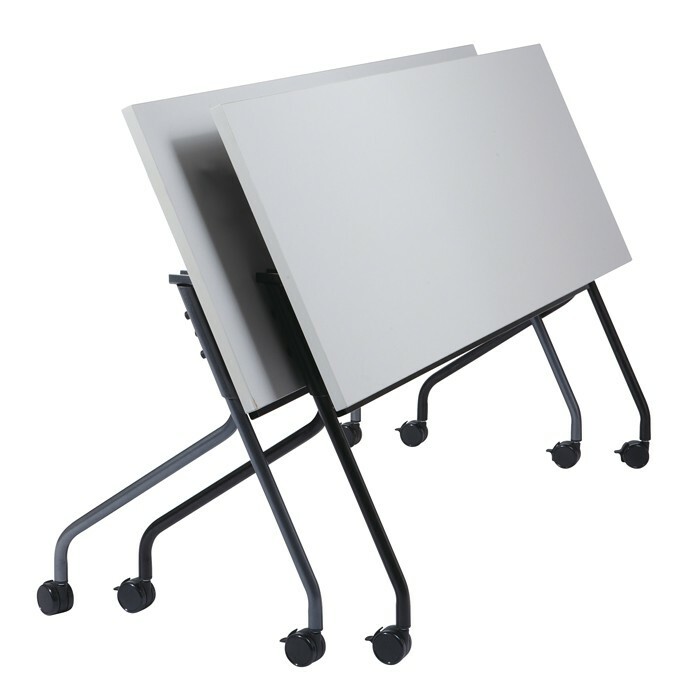 Folding Nesting Mobile Training Table-72x24. New flip-top Training Tables allow quick setup, change and relocation. 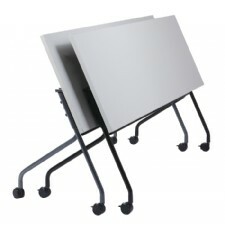 Bases available in Titanium and Black, Tops available in Grey, Cherry, Mahogany and Maple. Folding. Nesting. Mobile. 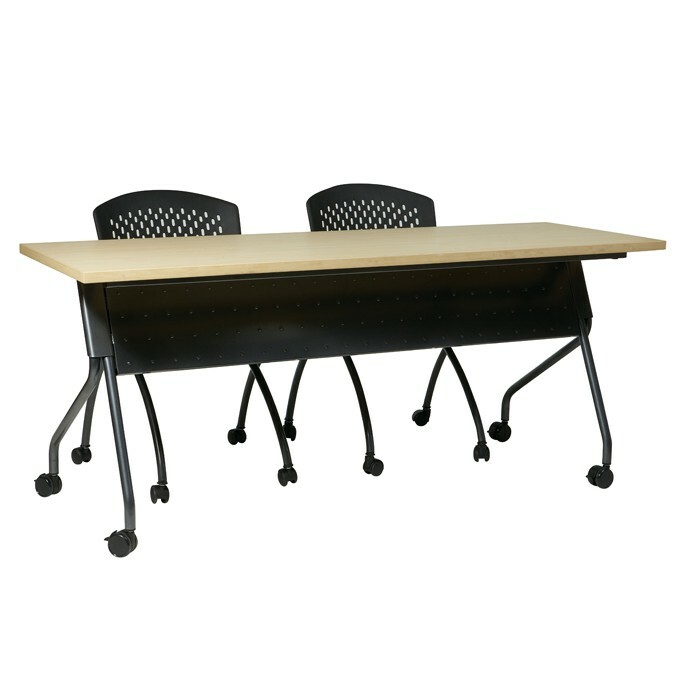 New flip-top Training Tables allow quick setup, change and relocation. Easily convert from training to classroom to conference room configurations throughtout the day. Flip mechanism can be activated from either end. Top locks into position whether upright or horizontal. 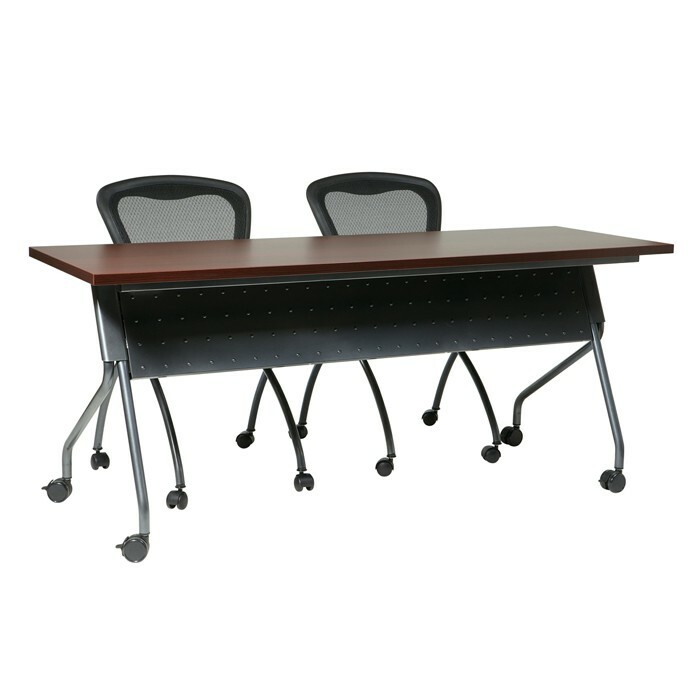 Frame features modesty panel and (4) locking casters. Tops are 1” -thick laminate with smooth, impact resistant 3mm PVC edges. 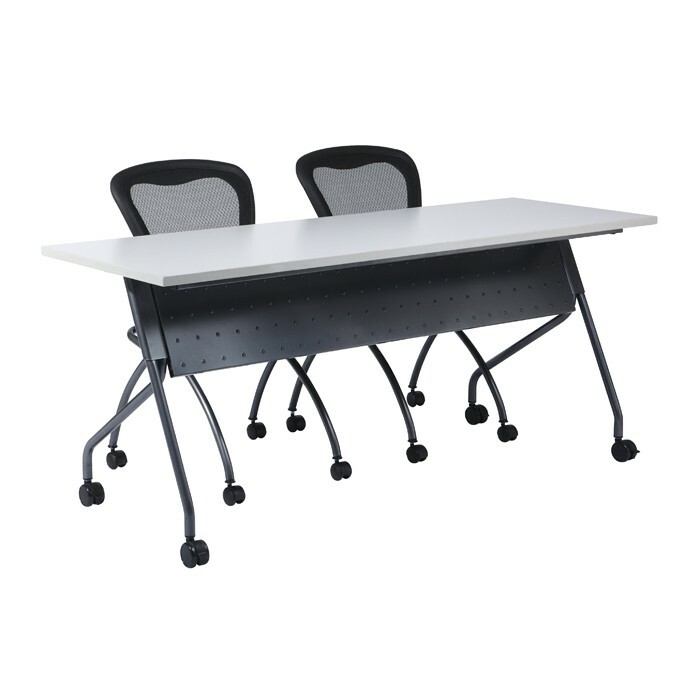 Great complement to ProLine II 83000/84000 folding/nesting chairs.